Find the perfect gift for your bridesmaids and grooms men. Find the gifts that best suits your friends from flasks, to tote bags and robes. Finding the perfect gift for your bridal party can sometimes be a challenge, but at Edmonton Wedding and Party Centre we have a whole area dedicated to gifts. From flasks and shot glasses for the boys to robes and tote bags for the girls, we are sure to have something perfect for your attendants. Want something more personal? We offer personalization on most products. Stop by or call us today for more information. Our flasks are the perfect gift for both men and women. 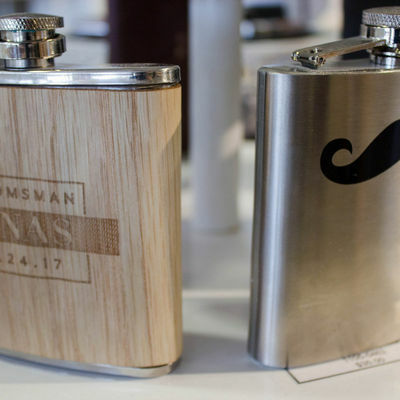 Whether you want a simple ‘Groomsman’ flask or something a little more personal, at Edmonton Wedding & Party Centre, our collection of flasks is sure to offer something for everyone. Totes are stylish and versatile, making them a fantastic gift option. 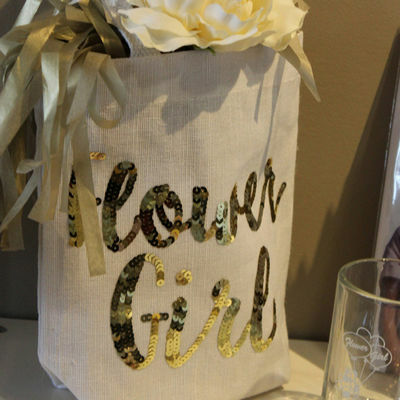 Whether you’re looking for a classic ‘Bride’ tote or want something a little more fun and on trend such as ‘Bride Tribe,’ at Edmonton Wedding & Party Centre we are pleased to offer an extensive collection of totes. Some of our totes can even be customized! 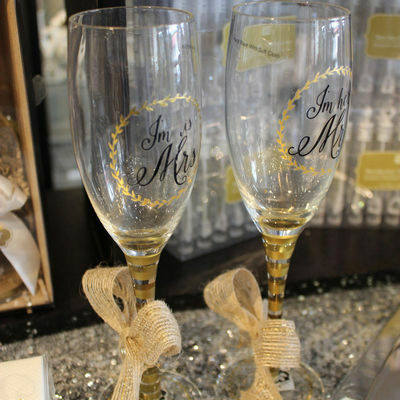 From classic wine glasses to old-fashioned whiskey glasses and everything in between at Edmonton Wedding & party Centre, we carry bar glasses for all styles and budgets. 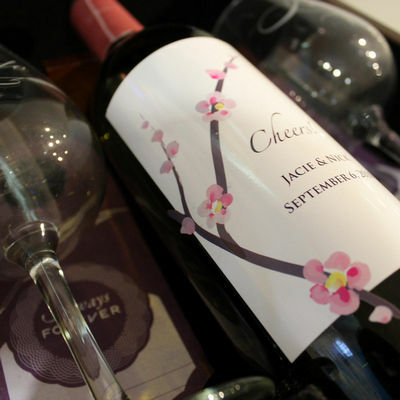 Our collection of glasses are available in store, with many options available for personalization. Inquire today for more information! Cheers! Celebrate any special occasion with our wide selection of shot glasses. From personalized wedding party gifts to wedding favours for all your guests, shot glasses are the perfect choice to make your event a memorable one. Edmonton Wedding & Party Centre offers a range of jewelry and jewelry boxes. Available in various metal options including the oh so trendy Rose Gold, our collection of jewelry combines modern and traditional elements, making it the perfect choice for your Big Day! House your precious jewels in a personalized jewelry box. Shop our full collection in store today! Find a wide variety of other specialty and personalized bridal party and grooms men gifts. From clothing to growlers, lighters and jewelery holders find the perfect gifts for your favourite people. 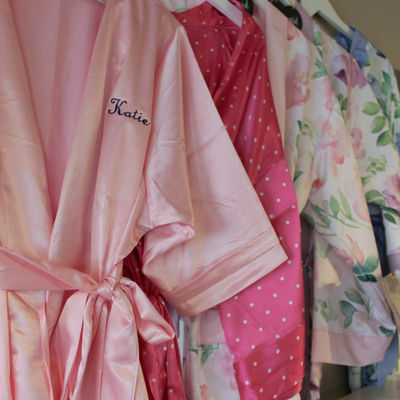 Get ready in style with our NEW soft and silky robes. Our selection of robes is available in a variety of colours, designs and prints. Looking to add a little personalized touch to the robes? Inquire today about personalization or shop in store to see all we have to offer. Crack the bottle! Bottle openers are essential for any bar, which makes them a perfect gift option for your wedding party. Our range of bottle openers is available in various option, some of which make great wedding favours. For more information or to shop our full collection, please visit us today!